Sadly, John passed away in July 2015, just three months after celebrating his 80th birthday. He is survived by his wife Marilyn and his five children. Our film is dedicated to his memory. in The Queen’s Foundation for Ecumenical Theological Education, Birmingham. In 2012, the Royal National Institute of Blind People (RNIB) granted him a Lifetime Achievement Award for his contributions to the literature of blindness. His writings in education, theology and disability have been translated into over a dozen languages. 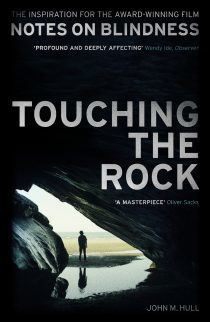 John’s diaries – the inspiration for the Notes on Blindness project – were first published in 1990 under the title ‘Touching the Rock’. John’s publisher SPCK released a new edition in May 2016 to coincide with the release of the film. Read John’s obituary in the Guardian.